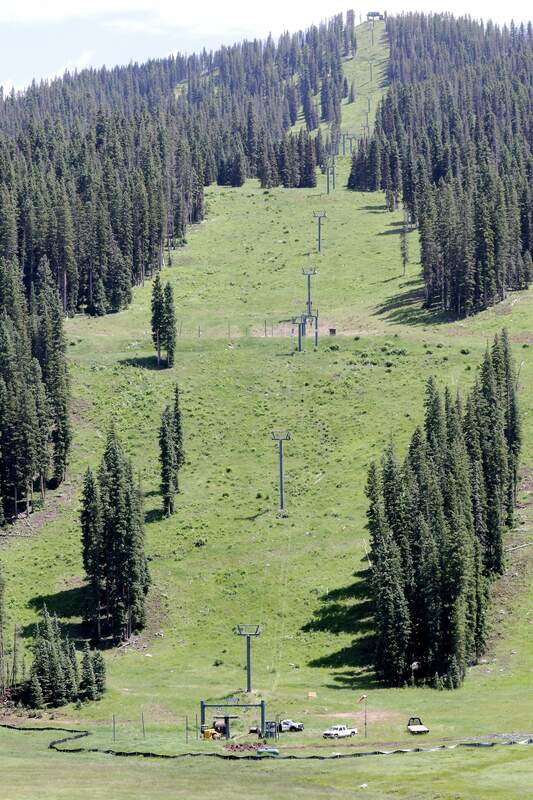 07/16/2015-Durango - Purgatory Resort has begun disassembling Legends Lift 8 on the backside of the mountain on Thursday. The resort is replacing the lift that was originally installed in 1985. The lift could carry 1800 people in an hour making for a 13 minute ride up the mountain. The resort will be putting in a new high-speed detachable quad lift that will have a five minute ride time to the top from the base. Free nature tours will be offered 9:45 a.m. to noon on Tuesdays and Thursdays, starting June 6, at Purgatory Resort, 1 Skier Place. Naturalists will give tours and talk about local flowers, trees, birds, tracks, geology and local lore. Volunteer naturalists are also being sought; training is scheduled at 8:30 a.m. June 2. For more information, call 759-9113.